I have a friend who says if you can pronounce it and it doesn’t make your mouth water, your tongue is broken. 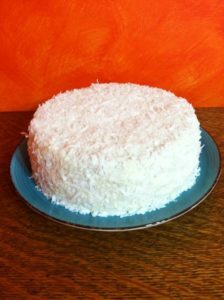 That got me thinking – a few years ago, I did a 5-part post about the most delicious Limoncello Coconut Cake to cross my lips since, well, food. 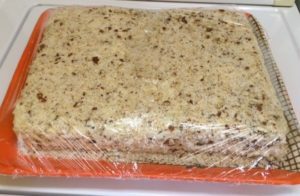 Since it’s been a while, and everyone needs a little cake in their life, I wanted to reshare the recipe and steps with you. In post 1, I talk about the Limoncello. For those of you who don’t know, Limoncello is a Southern Italian liqueur typically served as a digestif, a liqueur served after a meal to aid the digestive process, unlike an aperitif, which is served as a sort of amuse-bouche prior to the meal to wake up the palate. Post 2 gives you both my VEGAN version and the original recipe. Post 3 focuses on the Custard part of the cake. Post 4 – oh baby! 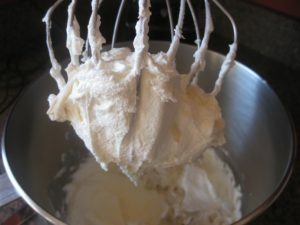 The buttercream Frosting. Post 5 – the finale! A finished and delicious cake. Grab a fork and DIG IN!